Very happy to see this news posted by Hart Schaffner Marx, one of the fifteen firms I am featuring in my upcoming book, Simply American, Putting Our Extended American Family Back to Work. 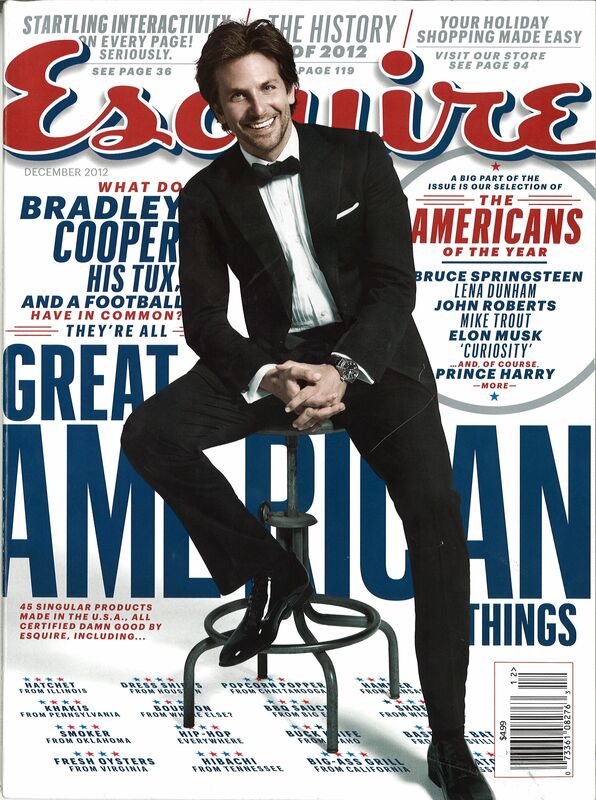 I will be rushing out to get the December issue of Esquire which features 45 “great American things”. I urge you to do the same! The December issue of Esquire magazine, now available on newsstands, features 45 “great American things” ranging from a leather football to Virginian oysters. Some of the American products mentioned in the story can be found at MadeCollection.com, including the Hart Schaffner Marx 125th Anniversary Grey Flannel Suit. HSM is “the pride of the Windy City for 125 years and the suit maker of choice for noted Chicagoan Barack Obama,” describes Esquire.